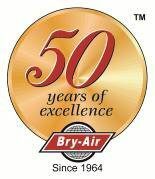 Bry-Air, Inc. environmental control systems allow for consistent and quality products to be produced efficiently with dry air. In the process of drying onions, a drying oven (such as a Proctor Schwartz) is commonly used in conjunction with a desiccant dehumidifying system. The dehumidifier is usually applied in the final stage in which very dry air is required. If this drying were attempted only with heat, the onions would be damaged and unfit for consumption. The dehumidifier supplies cooler, drier air which ensures that the onions will be dried without the damage associated with high temperatures. In most cases, 100% outside air is pre-cooled, dehumidified and delivered to the final stage (commonly known as the D-stage) at a condition of less than 100°F at 15 gr/lb or lower (approximately 4-7% RH). In order to store onions for any length of time, it is necessary to keep them in a cool, dry environment. When humidity levels and temperatures are too high the onions may decay or begin to sprout. The ideal storage condition for onions is 32°F at a relative humidity of 65 – 70%. In order to maintain this temperature, the coil temperature will be well below freezing. A desiccant dehumidifier can control the humidity and eliminate the need for defrost cycles, allowing the cooling system to maintain a steady temperature. These conditions will ensure that the onions remain dormant. Refrigerated storage is often used to hold onions for approximately six months. Onions to be kept in cold storage should be placed there immediately following the curing process. The temperature of 32° F will keep the onions dormant and free from decay, provided the onions are sound and properly cured prior to storage. Sprout growth can indicate that the’ storage temperature is too high, the bulbs are poorly cured or that they are immature bulbs. Root growth can indicate that the relative humidity is too high. Onions should be adequately cured either in the field, in open sheds, or by artificial means before or during storage. The most common method of curing is natural or forced air ventilation. Onions are considered to be cured when the necks are tight and the outer scales are dried until they rustle. If not properly cured, the onions are likely to decay in the form of a gray mold rot which occurs at the top of the bulb. This is commonly known in the industry as “neck rot”. When onions are removed from storage in warm weather, condensation may form as they are exposed to the warmer temperatures and higher humidity. This, in turn, can lead to decay of the product. The solution to this problem is to allow the onions to warm gradually until they reach equilibrium with the surrounding air. The quantity of onions that can be stored will depend on whether they are stored in bags, crates, pallet boxes or storage bins. A general rule of thumb is to figure on the basis of between 90 to 110 cubic feet of space required per ton of onions. Permeation as a result of vapor pressure differential inside and outside of the storage space. Number of people working in the space. In the case of onion storage the permeation load is, by far, the largest load to consider. In most cases the other parameters are minimal or nonexistent. One of the factors which directly affects the permeation load is the vapor barrier. The better the vapor barrier in the storage area the lower the permeation load which results in a more satisfactory storage condition. The correct application of a desiccant dehumidifier will ensure humidity control and successful storage of the onions. In most cases the increase in yield of onions covers the initial cost of the drying system within the first season. 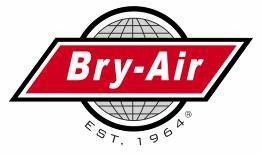 Bry-Air, Inc. desiccant dehumidifiers have been utilized in hundreds of applications for the drying and storage of onions. Whether they are in bulk, flake or powdered form, onion drying and storage is important to ensure that the product reaches the consumer in good condition and taste.